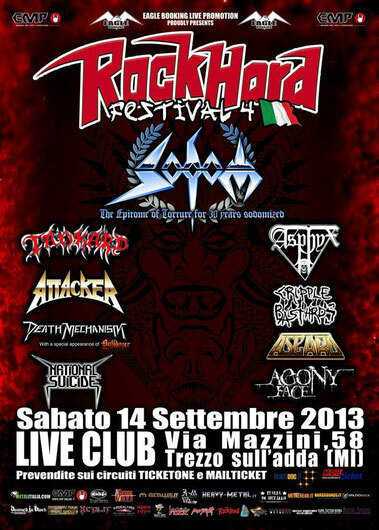 Fourth edition of the ROCK HARD FESTIVAL ITALY which is an event dedicated to the headbangers of an Italian magazine, will take place at the prestigious LIVE CLUB in Trezzo (MI) on September 14th 2013. It will be a full day event with national and international guests as same as last year. For more info on ROCK HARD ITALY's facebook.